We all have that one cosmetic brand that brings back fond memories of our first encounter with makeup and for me that brand is Covergirl. The first mascara and eyeliner I ever purchased were actually from Covergirl and the LashBlast Fusion mascara is still one of my absolute favourites. 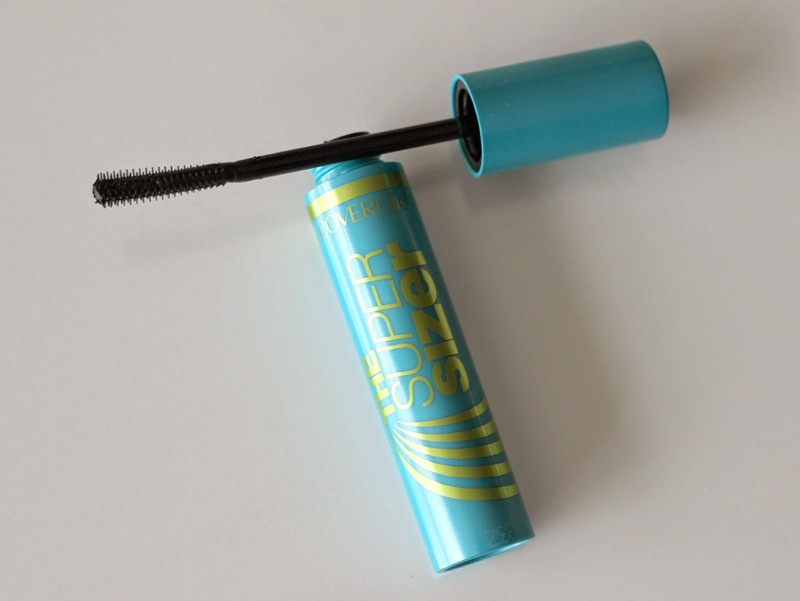 I was super excited to have the opportunity to test out their new The Super Sizer Mascara* and Intensify Me! Liquid Liner* and see how well they performed. Did they live up to my expectations? The Super Sizer Mascara claims to dramatically increase volume by up to 400% with its unique, flexible rubber brush and application technique. I received mine in the shade very black and as always, started off with curling my lashes. At first, they recommend using the flat side to apply mascara evenly at the base. You then follow up with a rotating gesture to better coat those hard to get, shorter lashes. Mine usually do better with rubber brushes, so that was a good start. This one is actually very thin and spiky, flaring out slightly at the tip. So... did this new Covergirl LashBlast mascara beat my favourite, the Fusion? Well, not quite. On me, The Super Sizer did not do much in terms of volume. On the other hand, it lengthened quite effectively since the bristles separate my lashes with ease. I actually prefer lengthening mascaras because volumizing ones tend to look clumpy on me. I also felt like I lost some control because of the flimsy wand. Although it isn't waterproof, the formula is still long lasting and I did not experience and flaking or smudging throughout the day. The product didn't do exactly what it claims, but I still do enjoy the end result as my lashes look significantly longer. That's the thing with mascaras (and makeup in general): its often hit or miss, so it can take time to find that one product that will work well for you. Thankfully this one I can still work with! The Intensify Me! Liquid Liner I thought would be hard to work with because of the tip's design. It is actually shaped like a paddle, allowing you to create a bold or thin like straight away without having to draw over all that much. Since I have hooded eyelids I always go for a thin line and thicken it slightly on the outer portion. I was pleasantly surprised by how easy it is to create a wing despite the rounded tip. 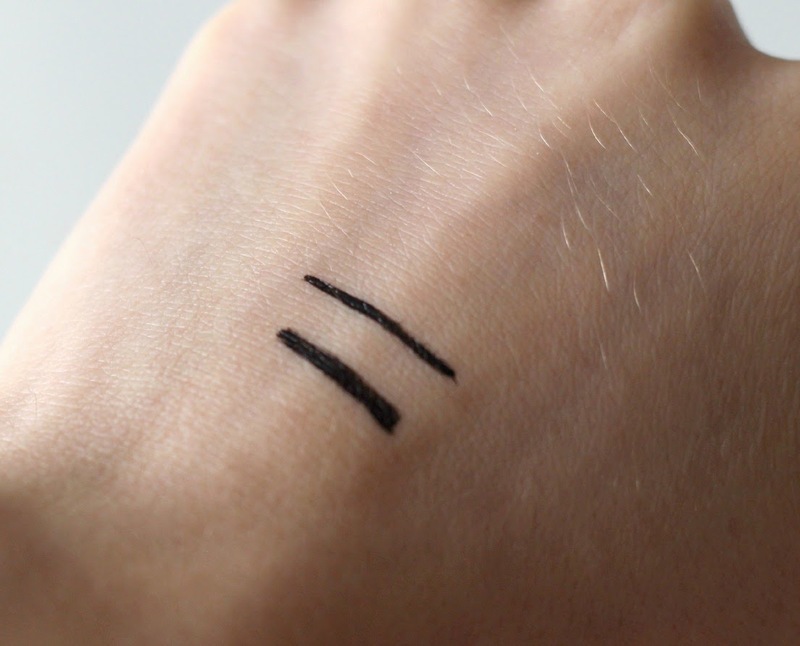 The intense, jet black applies in a crisp line and I actually didn't even have to fix any mistakes when I first used it - I think that says a lot about a good liquid liner! I didn't have to deal with any bleeding or smudging throughout the day either, which is really great considering the formula isn't waterproof. Removing it is easy for me too: I first rinse with water and then use coconut oil to melt the "raccoon eyes" look away. I'm super impressed with this one and I would recommend trying it out, especially if you are a beginner because the tip is super stiff so you have control when applying. 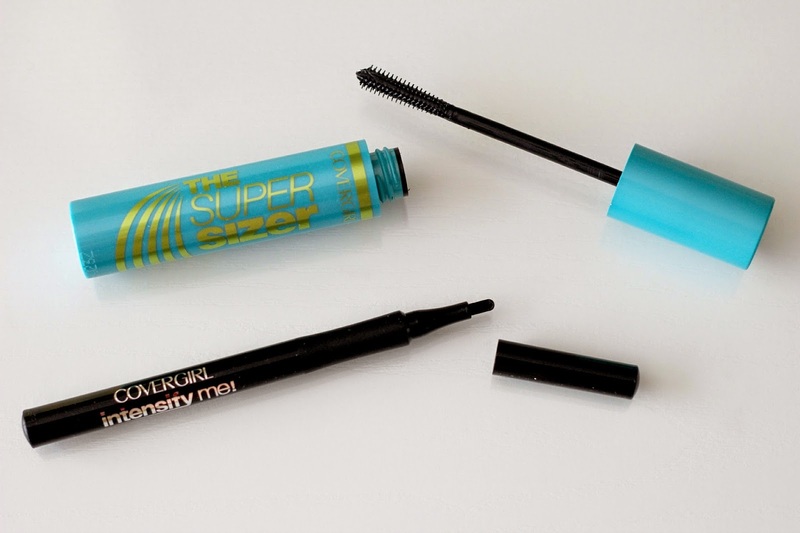 The new Covergirl The Super Sizer Mascara and Intensify Me! Liquid Liner are now available at drugstores nationwide. Have you tried or plan on trying any of these products? I like the wand of the mascara, different than what I'm used to and your eyes look so gorgeous! 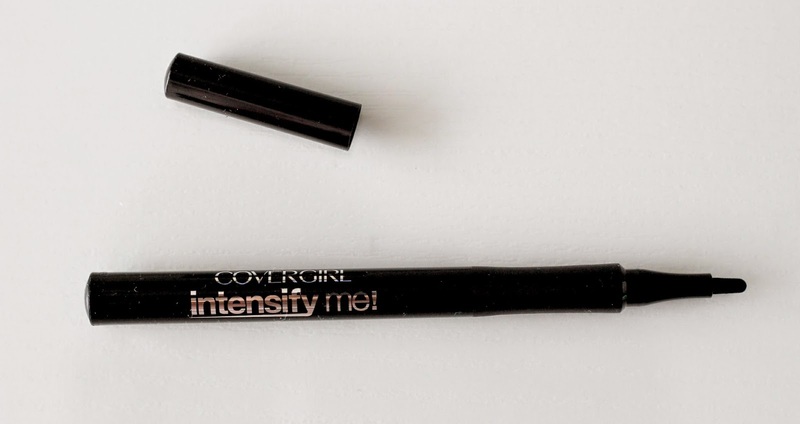 I heard many positive reviews from this mascara. I wonder how it works on my short eyelashes. Great review. The wand does look different than what I'm used to. I will def have to try this out. Thanks for sharing & co-hosting WUW. Coconut oil to remove eye makeup ~ have to try that. Thanks for the tip. I've never tried this brand, but I read many positive reviews about it. I like the result, your lashes look long and pretty. I love cover girl products, my favorite is there mascaras! I am going to have to try the liquid liner again though, i tried liquid liner before and it didn't turn out to well, i stick to the pencil liners, but i do like the way liquid liner looks. I really like the result on your eyes! I'm a big fan of Covergirl so I'll surely be making my way around to these products when I run out of my current fix! What a great review! I like the result, it makes your eyelashes look pretty and longer.